You’re a business executive first and a human resources executive second. 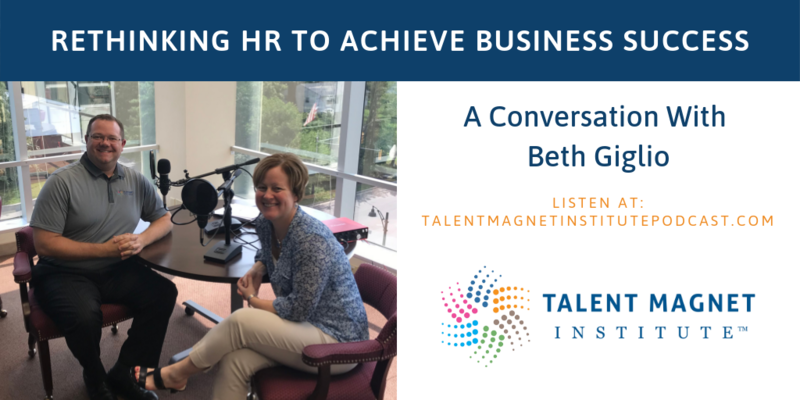 Welcome to this week’s episode of the Talent Magnet Institute podcast with Beth Giglio, Senior Vice President of Human Resources at 84.51˚. 84.51˚ is a data science and customer experience organization, and we are very excited to have their head of human resources, culture, and people here with us today. 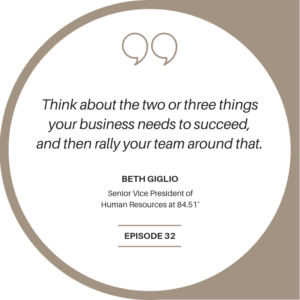 Today, Beth shares her experience with strategic human resources, and what it means to be a business executive first and HR executive second. What is strategic HR? Even if you lead the function of human resources, you are a business leader. Be business-minded first to understand the strategy. And then take that back into a talent mindset and ask: what are the talent-enabling strategies that go with it? Become a thought leader in the human resources space. Bring cutting edge thinking in HR to the business. Beth shares how they read articles all the time, have discussions, and go to conferences. These are places where human resources teams don’t usually invest – but need to – to become strategic HR partners. Be really clear about your strategic outcome. At times HR professionals can get into tactics, so always ask: What is the business outcome that we’re trying to drive? 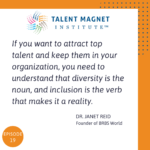 Followed by: What is the talent outcome we’re trying to drive? That way, you can contextualize it. For business owners who say they don’t have time to be strategic because they’re executing every day, step back and ask: What are you trying to achieve? And then stack rank the limited time you have to actually put against it. Invest in building capacities. Step back and ask of the business: Where do you want to play? Then think about how the team needs to change, and what solutions you need to give them, so that your business can be at the table where it needs to be. When it comes to making sure employees are meaningfully engaged, many companies send an 85-question survey out, and then mine those 85 questions for insights. Beth advises looking at what you want to accomplish in one to two years, and shares how you can look at your data instead. Because if you’re looking at the survey and automatically trying to improve the bottom ranking 16 questions, that’s a lot of work that might not actually drive value at the end of the day. 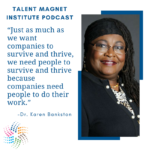 It might be challenging as a human resource executive to show the value of HR to the business and bring business-minded conversations to the table. So start small and get your wins! Every company has their pain points. Bring up the talent implications of those pain points, even if they don’t ask for it. That’s how you get the opportunity to sit at the table. Don’t screw up on your new hires. There is tension in hiring: do you make the call now because you have an immediate pain point? Or do you hold out for the best talent and wait? Remember, in smaller organizations especially, the right hire matters. Where does implicit bias exist? Are you afraid of the tough conversations? Or, are you willing to put the hard stuff on the table and take your workplace to the next level? The most important thing is to identify the handful of things you’re trying to do as a business to be successful. What are the two or three things you want to drive as a leader? And how can you get your team rallied around that, versus everything else they could possibly do? 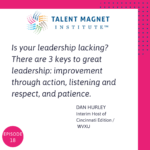 What is an easy way to make sure you’re giving your employees meaningful feedback and recognition so that they keep coming back to do the things that you want them to do? 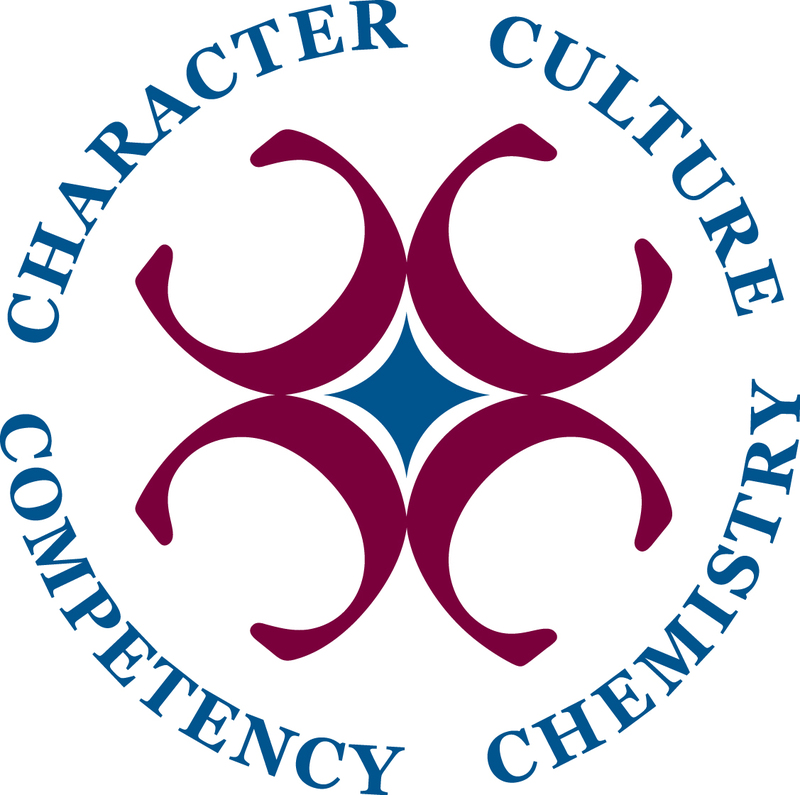 Is your company culture toxic? A toxic work culture can be costlier than you imagine, but hard to identify. Learn more about the 7 signs that there is something you need to fix in your workplace.